This week I am delighted to share an interview with award-winning children’s author Dimity Powell. I previously introduced Dimity to you in her popular guest post Libraries: A wonderous universe to explore. Dimity likes to fill every spare moment with words. She writes and reviews stories exclusively for kids and is the Managing Editor for Kids’ Book Review. Her word webs appear in anthologies, school magazines, junior novels, as creative digital content, and picture books including The Fix-It Man (2017) and At The End of Holyrood Lane (2018) with more to follow in 2019 and 2020. She is a seasoned presenter both in Australia and overseas, an accredited Write Like An Author facilitator and a Books in Homes Role Model Volunteer in Australia. Dimity believes picture books are soul food, to be consumed at least 10 times a week. If these aren’t available, she’ll settle for ice-cream. She lives just around the corner from Bat Man on the Gold Coast although she still prefers hanging out in libraries than with superheroes. In this post, Dimity discusses her latest picture book At the End of Holyrood Lane. The book, illustrated by Nicky Johnston and published by EK Books, deals sensitively with the tough issue of domestic violence. At The End of Holyrood Lane is a poignant yet uplifting picture book that deals with domestic violence in a way that provides understanding and offers hope to young children. ‘At the End of Holyrood Lane is enigmatic. 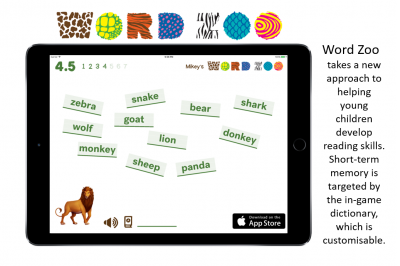 Different children will be able to interpret the story in different ways. I think this is excellent. Kudos to both author and illustrator for a successful creation that I hope will enrich many children’s lives.’ Susan Stephenson, The Book Chook. Thank you for inviting me. Dimity, At the End of Holyrood Lane was written for a very special purpose and a very special situation. Can you tell us a little about how you came to write this story and why it was important to you to do so? 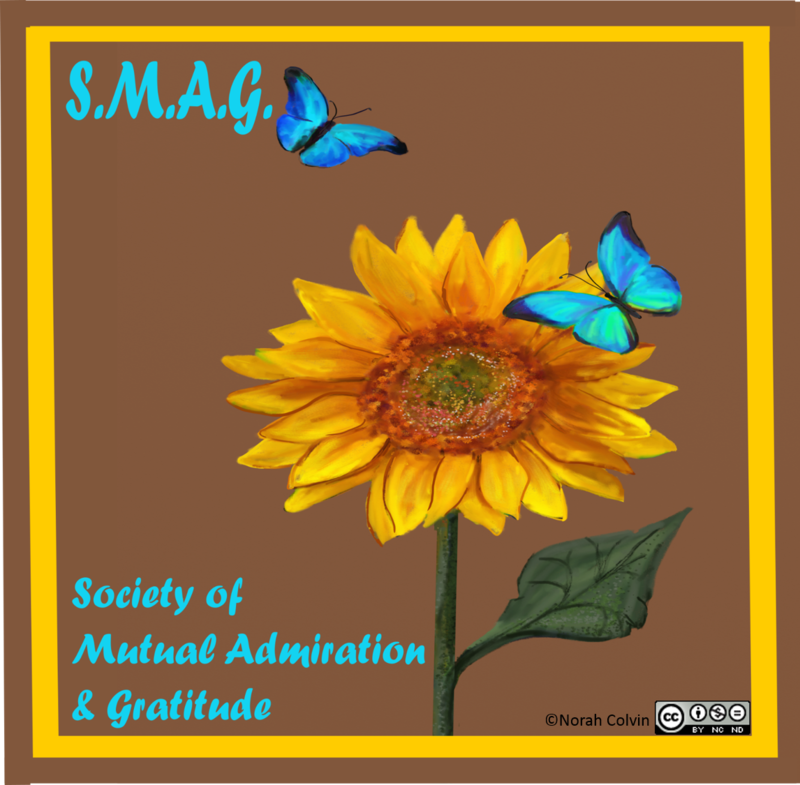 This entry was posted in Picture books and tagged Children's literature, Compassion, Early childhood education, early childhood teaching resources, Picture books, Writing on November 23, 2018 by Norah. This week at the Carrot Ranch, Charli Mills challenged writers to In 99 words (no more, no less) write a story that includes buttons. You can use the word plural or singular in different expressions, or focus on how buttons relate to a story. Go where the prompt leads. This is my response. I hope you enjoy it. Too lads, reviewing the previous evening’s campfire conversation, dug stones from the bank, inspected each and competed to land one further in the creek. He contemplated silently—a house of their own first, then for other homeless people too. They sprinted back to camp. “You struck gold all right—a gold button,” the adults laughed. Thank you for reading. I appreciate your feedback. Please share your thoughts. This entry was posted in Education, Flash fiction, Writing and tagged buttons, Carrot Ranch flash fiction, Compassion, empathy, Flash fiction on July 10, 2018 by Norah. Do you have children with Asperger Syndrome in your classroom and wonder how best to cater to their needs? Do you have friends with Asperger Syndrome, or maybe have it yourself? This week’s guest Kathy Hoopmann has a wealth of suggestions to help you understand, appreciate and enjoy the complex syndrome that is known as ASD. Combining her knowledge of Asperger Syndrome with her teaching background, Kathy has written over twenty books for children and adults. She is best known for her photo-illustrated books that deal with Asperger Syndrome, ADHD and anxiety. The simplicity, charm and insight of these books has made them must-haves for children and adults around the world. Kathy has won and been shortlisted for many literary awards including the Children’s Book Council of Australia Award, and she has four times been awarded a silver Nautilus Award (US). Her books have been translated into thirteen languages and sell widely in Australia, the UK, the US and the Middle East. The books help children and adults with ASD recognise that they are not alone and provide support to carers, teachers and other professionals working with people with ASD. In any home, school or classroom library Kathy’s books would help everyone learn to understand and support each other. Welcome to readilearn, Kathy. Over to you. The boy crawled under a table, his cap pulled low. All eyes were on me to watch what I would do. I was the relief teacher, or ‘light relief’ and the class was eager for a good show. But I had been a relief teacher for too long to take the bait. Besides, I recognised the behavior. The boy displayed many characteristics of Autism Spectrum Disorder and frankly under the table was the very best place he could be, for his sake and mine. and be sure to check out the generous discount offered to readers during the month of July. This entry was posted in Creativity, Early childhood education, Education, growth mindset, readilearn, Self esteem, Stories, Teaching resources, Traditional schooling and tagged ADHD, anxiety, ASD, Asperger's, Autism, Children, Compassion, Early childhood education, early childhood teaching resources, education, learning, Picture books, School, schooling, Self-esteem, teaching on July 6, 2018 by Norah. Ever have one of those days? You know—it seems the world is against you, and everything you do goes wrong. Maybe you oversleep and in your rush, you fumble, make mistakes and get even later. You hurry to the stop as your bus pulls away. You flop down reviewing life’s punishments, and some jackass walks by telling you to “Smile, it’s not the end of the world.” What would he know? You open your phone and scroll: trivial drivel. Then this one story blows your insignificancies away. You phone your appointment, apologise and reschedule. All is not lost. I wrote this in response to the challenge that Charli Mills of the Carrot Ranch set for writers this week, to In 99 words (no more, no less) write a story about “not all is lost.” It can include recovery from disaster, an unexpected insight after a fall, or however the phrase moves you. Go where the prompt leads. All around the world, there are tragedies of enormous proportion: wars, floods, fires, droughts, volcanic eruptions, illness. The list goes on. What I attempted to show through my flash is that it can be easy to get caught up in the trivialities of our daily lives and forget to look from afar and see how small they are. When our problems seem overwhelming, we don’t need to look too far to see someone in a worse position. For those of you who are truly suffering, I apologise, I in no way intend to trivialise your concerns. I also intended it as a reminder that we don’t always know what someone else is going through and an off-hand remark to tell them to “cheer up” may not helpful. It is the same for children in our schools, in our classes. We don’t know what bumps they may be experiencing to make them withdrawn, moody, hostile or aggressive. To truly understand another’s position we need to listen, put ourselves in their shoes and consider how we would feel. We need to accept that the world doesn’t always work in the way or timeframe we wish. If we could lend a helping hand, a listening ear, kind words, and an open heart what a more beautiful world it would be. Just as Cynthia chose to see beauty in the scene around her, it is important to remember there’ll be days like this, that all is not lost. This entry was posted in Flash fiction, Stories, Writing and tagged Carrot Ranch flash fiction, Compassion, disaster, empathy, Flash fiction, growth mindset, optimism, overwhelm on June 26, 2018 by Norah. On the last Friday of each month We Are the World Blogfest invites bloggers to join together in promoting positive news. With this the first for 2018, it’s a good time to think about joining in. If you would like to do so, please check out the rules and links below. The co-hosts for this month are: Shilpa Garg, Simon Falk, Lynn Hallbrooks, Eric Lahti, Damyanti Biswas and Guilie Castillo. Please pop over to their blogs to read their stories, comment and share. This month I am sharing an inspiring story that, while it may not be “News”, was certainly news to me and maybe is news to you too. I hope it fits the criteria for sharing. There is certainly a need for more understanding, acceptance, empathy and compassion in the world, and it is very pleasing to see projects such as this being promoted. I’m sure you’ll agree that education of our children is a great place to start. Multicultural Children’s Book Day was initiated by Valarie Budayr from Jump Into a Book and Mia Wenjen from Pragmatic Mom, and is celebrated for the fifth time this year on 27 January with a #ReadYourWorld Twitter party! There is much to explore on the Multicultural Children’s Book Day website; including resources such as, a list of diversity books and activities for teachers and parents, and a free Classroom Empathy Kit that includes a book list and activities to help children develop empathy. You can even sign up to get a free diversity book for your classroom. I hope you see how both these organisations are working towards making our world a more positive place for all of us. 1. Keep your post to Below 500 words, as much as possible. 2. Link to a human news story on your blog, one that shows love, humanity, and brotherhood. Paste in an excerpt and tell us why it touched you. The Link is important, because it actually makes us look through news to find the positive ones to post. 3. No story is too big or small, as long as it Goes Beyond religion and politics, into the core of humanity. 4. 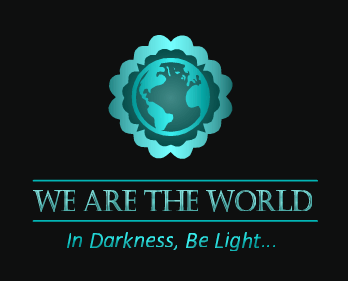 Place the WE ARE THE WORLD badge or banner on your Post and your Sidebar. Some of you have already done so, this is just a gentle reminder for the others. Help us spread the word on social media. Feel free to tweet, share using the #WATWB hashtag to help us trend! Tweets, Facebook shares, Pins, Instagram, G+ shares using the #WATWB hashtag through the month most welcome. We’ll try and follow and share all those who post on the #WATWB hashtag, and we encourage you to do the same. Click here to join in and enter the link to your post. The bigger the #WATWB group each month, the greater the joy! This entry was posted in #WATWB, Early childhood education, Education, Literacy education, Picture books, Teaching resources and tagged #ReadYourWorld, #WATWB, Compassion, diversity, empathy, hope, Multicultural Children's Book Day, Picture books on January 25, 2018 by Norah. Usually at this time on a Tuesday evening (my time) I am posting a flash fiction response to the prompt by Charli Mills at the Carrot Ranch. But not tonight, and for good reason. 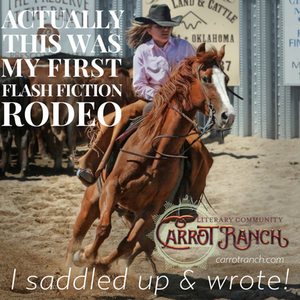 The usual weekly Carrot Ranch flash fiction prompt is on hold during the month of October, replaced by the Flash Fiction Rodeo which kicks off today. There are many prizes for both writers and readers. Check out the post for details of how you can win. My contest runs first with a prompt about childhood ambitions. It will go live at the Ranch, and again here, on Thursday. I do hope you will join in. You may have read my contribution to the We Are The World Blogfest with the story I posted on the weekend, #WATWB The Teacher Helping Hurricane Harvey’s Youngest Victims – And How You Can Help / A Mighty Girl | A Mighty Girl The story tells of a teacher from Texas who created the online Hurricane Harvey Book Club. The Club involves children recording videos of themselves reading books to share with children who, as a result of the devastation of Hurricane Harvey, have no access to books. Hundreds of videos were uploaded to Facebook, and the Club is also raising money to help restock classrooms devastated by the storm. Hurricane Harvey was just the first. More was yet to come with Irma and Maria following close behind. Fellow Blogger and Rough Writer at the Carrot Ranch Sarah Brentyn, who blogs at Lemon Shark has extended a helping hand to those in need with her own flash fiction challenge #Flash4Storms. For each flash fiction response to her prompt “Help”, Sarah will donate $1 to hurricane relief. Check out Sarah’s post to find out how you can join in and lend a helping hand. Let Sarah know in the comments that I sent you, and I’ll add another dollar to Sarah’s donation. Here’s my response to Sarah’s challenge for a story of 50 words or less on the theme ‘Help’. He was proud, never asking for or accepting help. If he couldn’t do it, it wasn’t worth doing. He’d always be first to help others though. Never too much trouble, there was little he couldn’t do. But, one day, when his world came tumbling down, they eagerly repaid his generosity. This entry was posted in #WATWB, Blogging, Flash fiction, Stories, Writing and tagged #FFRODEO #Flash4Storms, #WATWB, Carrot Ranch, Compassion, empathy, Flash fiction, generosity, helping each other, kindness on October 3, 2017 by Norah. On the last Friday of each month in the We Are The World Blogfest, bloggers post positive news items that demonstrate that “love, humanity, and brotherhood” still exist in a world where negative news items seem to proliferate. They encourage as many bloggers as possible to join in and share good news stories. I’m a bit late joining in this week, but I wanted to ensure you heard this wonderful news about teachers and children helping out those affected by the recent devastating hurricanes – education of the heart. Books, children, reading, children helping children, teachers, compassion, empathy. Great ingredients for a better world. The cohosts for this month are: Michelle Wallace , Shilpa Garg, Andrea Michaels, Peter Nena, Emerald Barnes. Check out their posts, and others, for stories to warm your heart. This entry was posted in #WATWB, Early childhood education, Education, Literacy education, Picture books, Stories and tagged Compassion, education, empathy, girls education, hurricane, Reading, School, school children, Stories on October 1, 2017 by Norah.